Whether this is your first foray into the world of DIY moves or if you’re battle-hardened individual that’s experienced several of them, Mobile Truck Rental have the trucks and equipment you need to perform all your transport tasks with maximum efficiency and at prices that are fraction of what you’d pay if you employed the services of a removalist. Our 3 tonne Pantech trucks are an excellent solution for personal and commercial transport needs. Best of all, you don’t actually require a truck licence to drive one of our trucks. An open C class licence is all that’s required to operate one. They’re all automatic as well, so anyone can operate them. For a superb deal on removal truck hire throughout the Gold Coast, contact the friendly team at Mobile Truck Rental today by phoning us now on 1300 799 317, filling out our quote form or emailing us directly at info@mobiletruckrental.com.au . Normally, with a one way rental deal, it’s your obligation to return the vehicle at the end of your lease period. The biggest difference between us and our competitors is that we deliver the vehicle to your address and we also collect it from you at the end, allowing you to concentrate your energies on the move itself. It’s an enormous convenience for our customers, helping to relieve the stress associated with your transport tasks. No matter what industry you happen to be in, customer care plays a big part in determining the customer’s overall experience and opinion of your business and its services. From the moment you get in touch with us to make the booking to the time we collect the removal truck from you, we want you to feel appreciated and understand that you are single most important asset to us. Get in touch with us today and find out how we can help you and your business. Our removal trucks were specially built with the safe transportation of personal possessions and heavy equipment in mind. Each of our trucks is decked out with all the equipment you need to complete your transport duties with minimal fuss and frustration, including rope, tailgate lifter and trolley. The cab is large enough to accommodate 3 adults and is fully air-conditioned, ensuring that you’ll always be comfortable inside, even on those warm summer days, of which the Gold Coast is famous for. Customer safety always comes first and that means ensuring that every vehicle in our fleet is rigorously tested on a regular basis to help guarantee maximum operability. No hire truck is ever released until it has passed all safety requirements. Each Pantech vehicle is able to carry 20m³ worth of gear in every haul, which is enough to fit the entire contents of a typical 3 bedroom unit. Our hire trucks have been engineered to ensure that the loading and unloading process minimises the risk of accidental injury to you and your cargo. For those who have never lifted or moved heavier items before, be sure to read our guides on lifting heavy objects and loading and unloading to protect yourself against injury. Our personalised removal truck hire deals represent the ultimate in convenience and value. Compared to a removalist, do-it-yourself moves allow you to save a small fortune on overall costs. The biggest reason why our 3 tonne Pantech trucks are such an attractive option for our customers is that they don’t require an actual truck licence to drive one. There’s no need for an MR or higher licence, just ordinary C class. Even though they’re slightly bigger than a passenger vehicle, they’re just as easy to drive. However, that being said, it’s still doesn’t hurt to read through our driving tips guide to help ensure a safe and enjoyable trip. At Mobile Truck Rental, we make Gold Coast removal truck hire affordable. Our vehicles are all immaculately clean, maintained and serviced on a frequent basis and come fully equipped with all the gadgets you need to perform your transport duties in total comfort. Competitive rates with no hidden charges. Avoid paying outrageous sums of money to have a removalist do the work for you. Do the smart thing and Hire a Gold Coast removal truck. You’ll be saving yourself a small fortune by doing so and our super convenient service ensures that you don’t have to waste time and money driving to the rental site to collect your vehicle or driving to another one when you reach your final destination. We do the collecting for you. We drop your hire truck off at your specified address and we collect it from you once you’ve finished using it. It’s that simple. 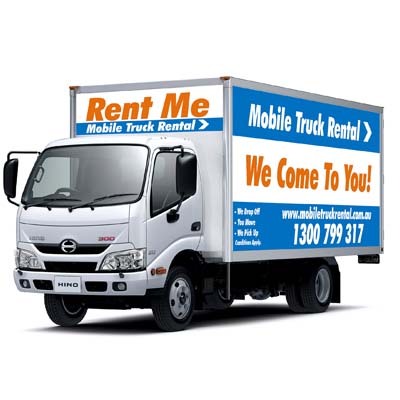 For a free quote concerning removal truck hire throughout the Gold Coast, contact the team at Mobile Truck Rental now!